April 25, 2012 - Back in March Hawker Beechcraft began to announce employee layoffs in its various departments and employees working on various aircraft including the Beechcraft King Air, Piston and Premier IA and the Hawker 4000 and 987 family. On Monday the company sent out layoff letters to its employees in its Wichita operations. 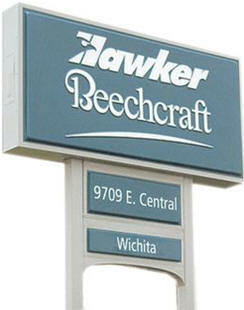 Hawker Beechcraft which employs over 7,400 employees announced the company would furlough 350 employees. In the notice the company stated affected employees are receiving a 60 day Worker Adjustment and Retraining Notification (WARN) as a result of the company?s difficulties in obtaining adequate materials in order to continue production as well as matching production to demand. Company furloughs will be on a rolling basis and are expected to occur for one to two months. Each furlough will last thirty to forty-five days. Hawker Beechcraft?s CEO Chairman, Steve Miller said ?We continue to manage our way through a challenging and rapidly changing environment while implementing transformations across our company. While we have experienced success with our transformation, market conditions are requiring us to adjust our overall production cadence to help ensure the company will compete effectively in the future.? 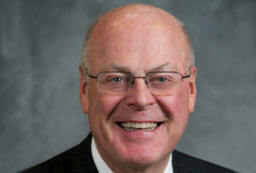 Miller further stated ?This remains a difficult, unprecedented time for our company, our employees and our industry. I ask that we all uphold our pattern of respect and care for our impacted colleagues, and remain focused on our jobs as we carry on our effort to become a smaller, more agile company that will remain competitive in the future.? In the company?s annual report filed April 13, 2012, with the Securities And Exchange Commission, the company indicated that ?certain key suppliers have indicated that they may cease providing supplies to us on normal credit terms or at all based upon our current financial difficulties and payment terms which we are employing.? Robert S. (Steve) Miller, CEO of Hawker Beechcraft, said the annual report ?filing reflects the combined effect of the prolonged weakness in our market that has continued to affect our business and the heavy debt burden the company has operated under since 2007. Hawker Beechcraft continues to work closely with our lenders to restructure the company?s balance sheet, and to do so as quickly as possible. ?In the coming weeks, we expect to decide on a path forward for Hawker Beechcraft that will include a plan that will put the company on firm financial footing and better position Hawker Beechcraft for the future. As we move forward with this process, we remain steadfast in our commitment to building, selling and servicing the best airplanes for our civilian and military customers.? Within the annual report the company further stated that its ?Management has concluded that there is substantial doubt about the Company?s ability to continue as a going concern.? This conclusion was based on a number of factors; a downturn in the economy which translates into fewer orders, its inability to pay on interest obligations and inability to raise sufficient capital in the stock market. In addition it was stated in the report that the company?s financial difficulties are due to its substantial debt, as of December 31, 2011, $2,334.1 billion. This debt may have future consequences in that the company may not be able to satisfy its obligations, ability to obtain additional financing for working capital, a substantial portion of cash flow is being used to pay on interest and principal and may not be able to capitalize on business opportunities. In February 2010 an entity affiliated with Goldman Sachs & Co. and Onex Partners II LP completed open-market purchases of $152.8 million of the company?s outstanding notes. The debt continues to incur interest in accordance with the terms of the debt. The company further stated that if it?s unable to make payments or refinance their debt or obtain new financing under the current circumstances, it would have to consider other options, such as sales of assets, sales of equity or seek protection under chapter 11 of the U.S. Bankruptcy Code. Hawker Beechcraft Corporation (HBC) is an aerospace manufacturing company that builds the Beechcraft and Hawker business jet lines of aircraft. The company headquarters is in Wichita, Kansas with maintenance and manufacturing locations worldwide. The company was formed in 1994 as Raytheon Aircraft Company by the merger of the former Beech Aircraft Corporation and British Aerospace Corporate Jets whilst both were owned by Raytheon. Raytheon sold the company in 2006 to a consortium of Goldman Sachs and Onex Corporation. This deal left the company with a heavy burden of debt which it struggled to support during the economic crisis of 2008 onwards. In April 2012 it defaulted on interest payments and was in breach of banking covenants; there is widespread speculation that it may enter bankruptcy.